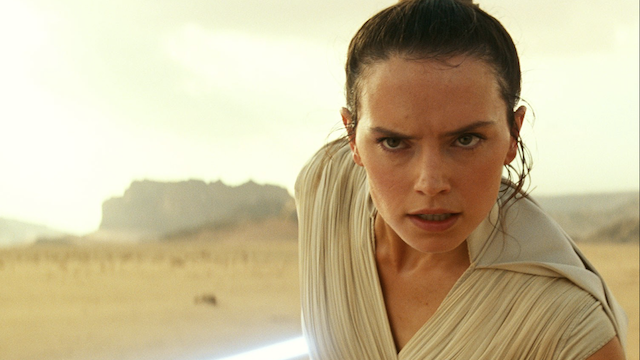 Based on the trailer that debuted last week, Star Wars: The Rise of Skywalker has a pretty clear idea of where it’s going to finish up. But the film’s production didn’t always go in that direction. /Film recently had a chance to chat with Daisy Ridley, who portrays Rey in the current Star Wars saga. She noted that the original ending changed significantly under J.J. Abrams. Originally, Lucasfilm hired director Colin Trevorrow, who helmed the blockbuster Jurassic World. But he left citing creative differences, particularly with scripts that Lucasfilm’s Kathleen Kennedy didn’t like. Abrams, coming off of the success of 2015’s The Force Awakens, jumped on board following Trevorrow’s departure. Apparently Lucasfilm wasn’t happy with the direction Trevorrow was going in and opted for Abrams’ alternate vision. Hopefully the final chapter of the Skywalker saga will please Star Wars fans, just as the trailer did. The Rise of Skywalker arrives in theaters on December 20. What do you think about J.J. Abrams changing the ending of the film? Let us know in the comments below!